Vermont regulators and utilities are working with ISO-NE to resolve transmission constraints in the northern part of the state, where the system has reached its capacity to accept additional generation. 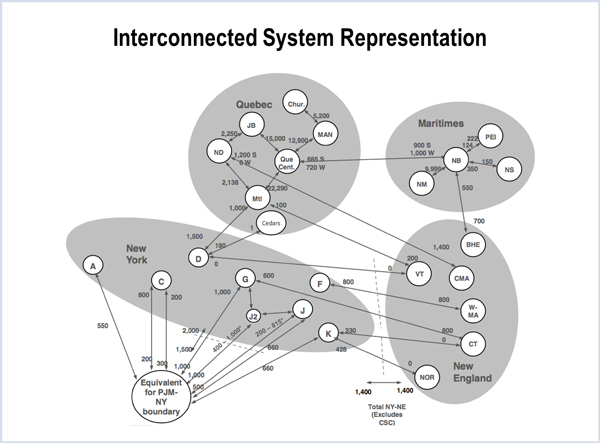 At the center of the issue is the Sheffield-Highgate Export Interface (SHEI). “While load levels [at the interface] vary within a tight band, generation can vary significantly because of the intermittency of wind and hydro generation resources. The other resources, including the Highgate HVDC converter, are relatively constant,” Vermont Electric Power Co. said during a presentation at a July 12 state planning meeting. Frank Ettori, VELCO director of ISO-NE relations and power accounting, said the utility would invite the grid operator’s Planning Advisory Committee to a special Vermont System Planning Committee session to help remediate the constraint. Potential solutions include a sub-transmission upgrade, battery storage and installation of an automatic voltage regulator on a generator. ISO-NE created the SHEI to monitor system flows in relation to system capacity in real time after Green Mountain Power and Vermont Electric Cooperative built the 63-MW Kingdom Community Wind plant in Lowell in 2012. 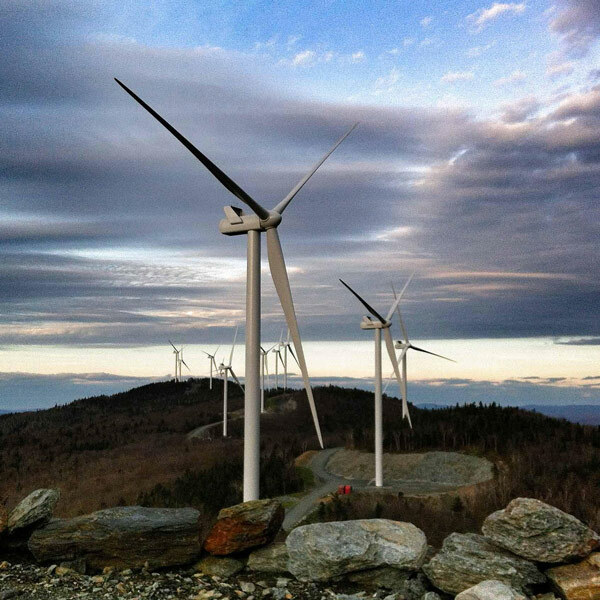 Three utility-scale generation projects — Swanton Gas (40 MW), Sheffield Wind (40 MW) and Kingdom Community Wind (64.5 MW) — have interconnected in the northern portion of the Vermont transmission system, and the constraints prevent them from running at full capacity at all times. VELCO hired a consultant to help determine the costs of various solutions, with the initial report due in late August and the economic evaluation by October. The committee also heard about state policy implications and approaches from Ed McNamara, director of planning with the state’s Department of Public Service (DPS). With distributed generation, in particular energy efficiency, there’s always been an assumption of a positive geographic locational value associated with energy efficiency and renewables, McNamara told RTO Insider. McNamara asked questions rather than proposing solutions: Should the Public Utility Commission be looking at generation projects that might not produce a net positive amount of new renewable generation in an area? Should we consider a different valuation in the area that has an export interface? On energy efficiency, should we look at changing the cost-effectiveness screening for northern Vermont compared to other areas? Vermont now meets more than 20% of its peak load through net metering — including from solar. More than 100 MW of new wind has come online over the past 10 years, all for a 1,000-MW transmission system, according to the DPS. And while net metering might reduce the value of energy efficiency in particular areas, the DPS has equity concerns for all ratepayers.